She got the idea for a large flag after a family vacation to Texas one year ago. She approached Tom and Judy Love and American Legion Post 535. From there volunteers from the Bellville Beautification Committee and local businesses came forward to help. 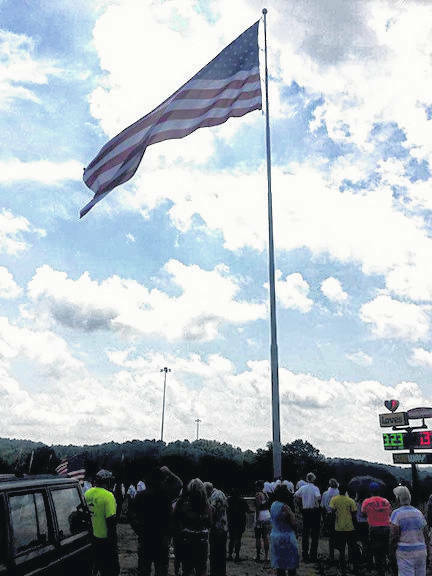 https://www.thebellvillestar.com/wp-content/uploads/sites/39/2018/07/web1_flag-1.jpgResidents watch a large American flag being raised July 2 behind Love’s Travel Stops. 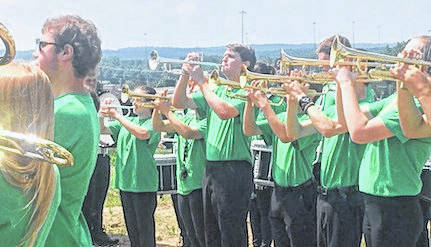 https://www.thebellvillestar.com/wp-content/uploads/sites/39/2018/07/web1_cfband-1.jpgThe Clear Fork High School band performed patriotic music before and during the ceremony. 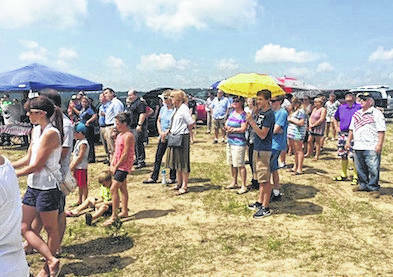 https://www.thebellvillestar.com/wp-content/uploads/sites/39/2018/07/web1_crowd-1.jpgResidents braved the heat for the ceremony July 2.